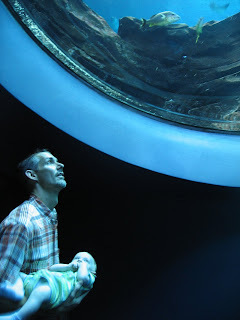 On our trip, we took a few hours to enjoy the splendor of God's creativity and majesty at the Aquarium in Atlanta. 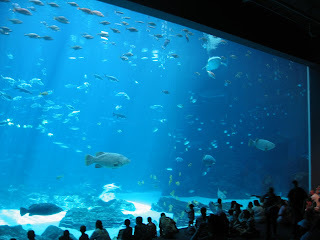 The size of some of the fish was remarkable, not to mention the tanks! 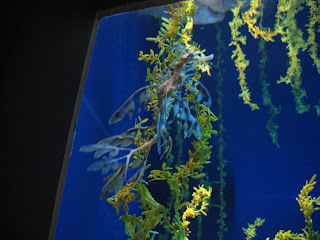 And how beautiful the seadragons were (kin to the seahorse). In the picture above you can see how it disguises itself as a plant; it was just breathtaking. How creative is our God! The one of the entire family is precious! The one of Jay holding Mason priceless! 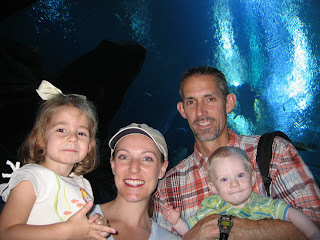 So pleased you had an opportunity to get away as a family to your friends and were blessed and were a blessing.